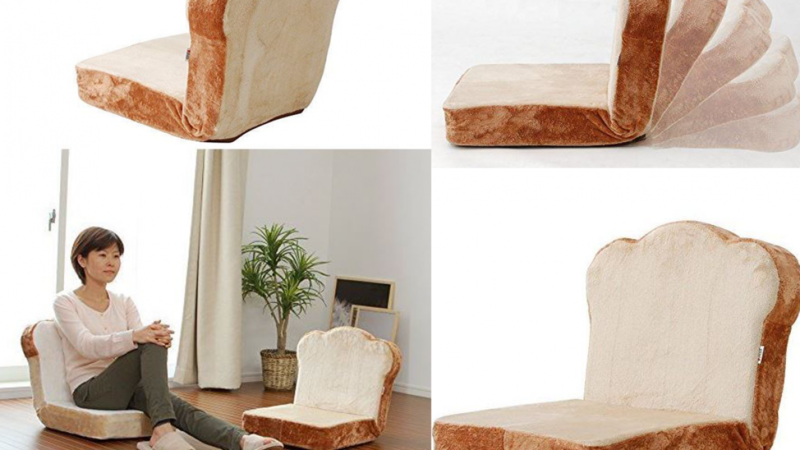 This adjustable chair that looks like bread is a cool and interesting idea. You will love it because it is so unique and because it is comfortable. The chair is adjustable so you can sit in one of five different positions. 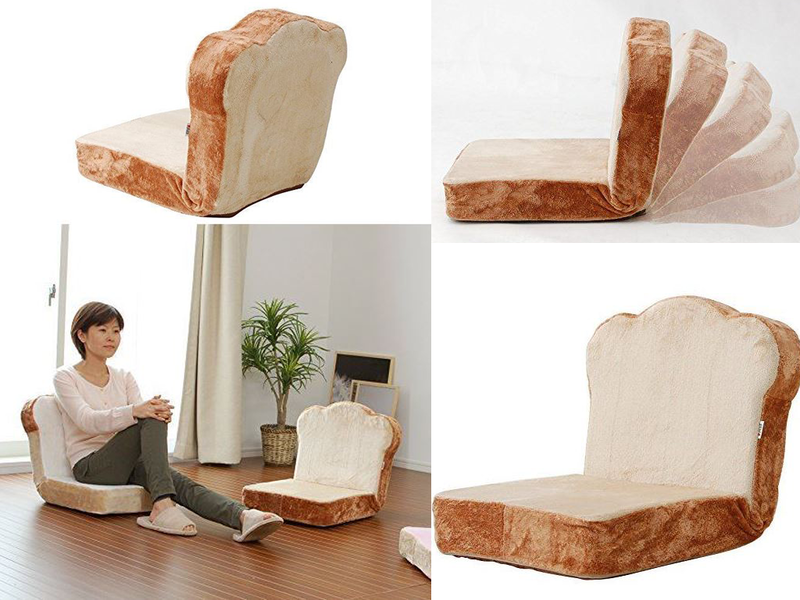 You can sit upright, lay flat on the floor or anything in between. If you enjoy stand out decor items that attract attention then you will love this cool chair. It is the perfect place to sit and relax after a long day. You can lay back and read a good book, play video games, watch some TV or take a nap. Simply adjust the height and you can enjoy your favorite activity in the perfect position. The chair measures 45 centimetres wide, 54 to 84 centimetres deep and 11 - 46 centimetres high depending on it's position. Steel piping is used to create the frame so that the chair is strong and reliable. You can put this chair is a special spot where you like to chill out alone or put several together. This is a great choice of seating in a room that is made for gamers or a family room. Everyone who uses it will love how comfortable and versatile it is. Comfort and looks are both important and this chair has both. If you like this cool chair you may also like to check out the following.